Deadline entry submission form and digital photographs time frame: Friday, May 18th – Friday, May 25th. Please no early entries. Email to artsvisalia@sbcglobal.net, Attn: Janelle Howard. Awards: $100 best of show award for each category, $100 people’s choice for entire show. Awards will be presented at the opening reception First Friday, July 6th from 6-8pm. Entries will be juried Saturday, June 30th between 2-4pm. 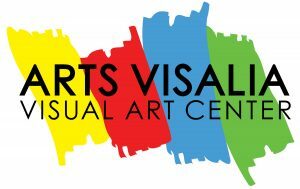 Arts Visalia requests pick up of pieces not juried into the show on Saturday, June 30th after 4:30pm or Thursday, July 5th after noon. Please make other arrangements with the gallery staff if these dates cannot be met. The iPhonography juried exhibition is open to artists of all ages that shoot and process their own photography on a mobile or iOS device. Works must be the artist’s original photo and must be photographs that have never been exhibited at Arts Visalia. There are four categories for entrants: Amateur level unedited photographs, Amateur level edited photographs (done entirely on the phone) Advanced level unedited photographs, and Advanced level edited photographs (done entirely on the phone). Each of the four categories can encompass architecture, nature, black and white, photo illustration, portraiture, wildlife, photo journalism, still life, or anything else that captures your eye. There is a $25.00 non-refundable entry fee for first entry, $5.00 for each entry thereafter (up to 3 entries total). Not all entries may be displayed.